The spider tent is our largest line of custom inflatable tents and they are great for any medium, large outdoor event. The exceptionally attractive design features 6-8 inflatable legs for stability and an outer vinyl shell for the shade. 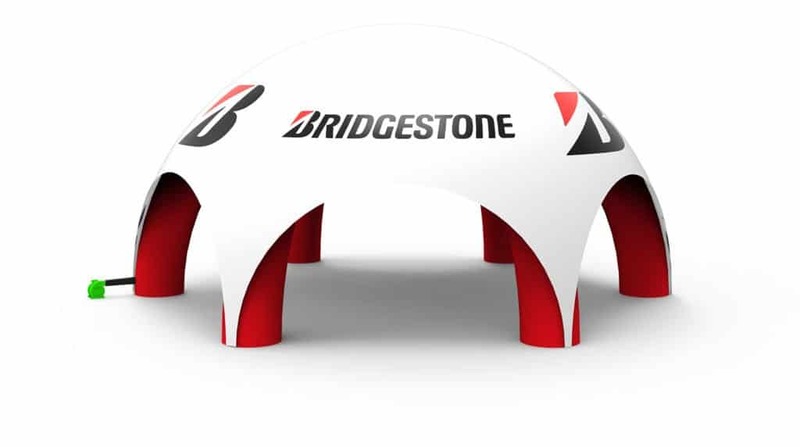 The spider tent can be made with the colors of your choice and branded with your company logo. Request more information by requesting a free quote.